San Francisco de Quito, founded in 1534 by Spanish colonists, was built upon a city of great ceremonial and commercial importance to the Incan Empire, and to the indigenous Quitus who preceded it. As Quito grew into its current form as 21st Century metropolis, it clung to its rich cultural heritage as a center of pre-Incan, Incan, and Spanish influence. Today the city, the first UNESCO Cultural Heritage Site in the world, is renowned for its stunning colonial architecture, well-preserved cathedrals and cobblestone plazas, historic museums, performing arts, colorful nightlife and bustling open-air markets. 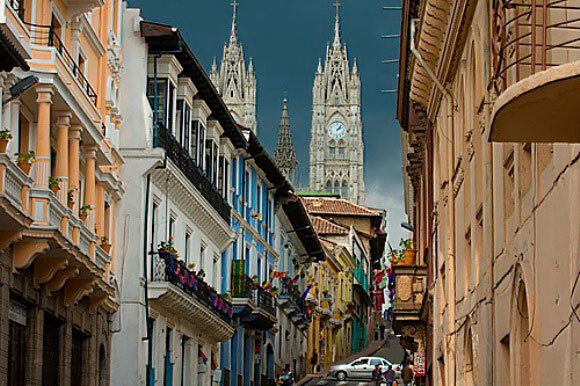 In the heart of the Andean Highlands, Quito’s natural surroundings are no less impressive. Within a couple of hours of Quito, one can find the Mindo Ecological Reserve—world-famous for its endless variety of bird species—enjoy the natural hot springs of Papallacta and Baños, go horseback-riding in Machachi, or scale the towering Cotopaxi or Cayambe volcanoes. Students are also invited to visit the indigenous artisan towns of Otavalo and Cotacachi, as well as the year-round agrarian market in Saquisilí. Quito is also a convenient portal to the Amazon rainforest, Ecuador’s stunning Pacific coastline, and the acclaimed Galapagos Islands. Moreover, it is the ideal place to begin a more extensive journey through South America. 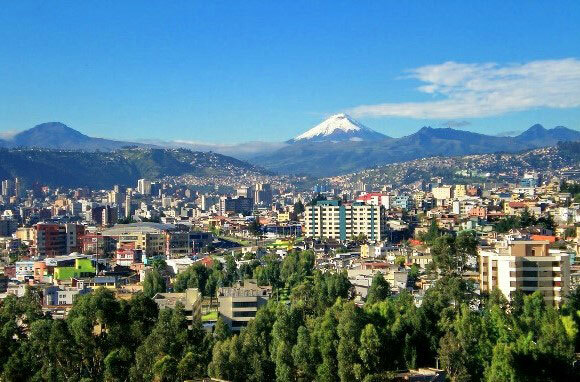 Quito and its inhabitants have the hard-won reputation as having cultivated a very clear and elegant dialect of the Spanish language, which has led it to become one of the most prestigious centers of Spanish language instruction in the world.